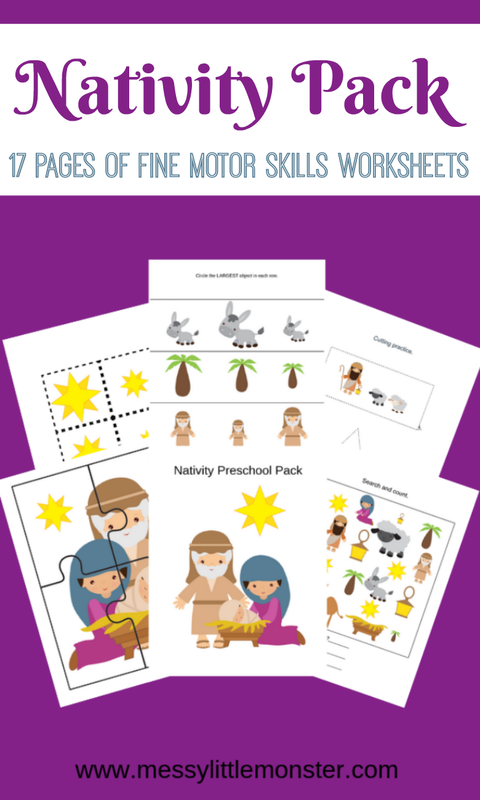 If you are looking for easy nativitiy activities for toddlers and preschoolers then our printable fine motor skills worksheets might be just what you are looking for! Our printable nativity pack has trace the lines, preschool cutting practice, puzzles and lots of counting and sorting activities. Best of all they are all nativity themed which makes them perfect for anybody looking for easy christmas activities for toddlers and preschoolers! These printable nativity activities are easy to use, simply print them out and then enjoy doing the activities with your toddler or preschooler. 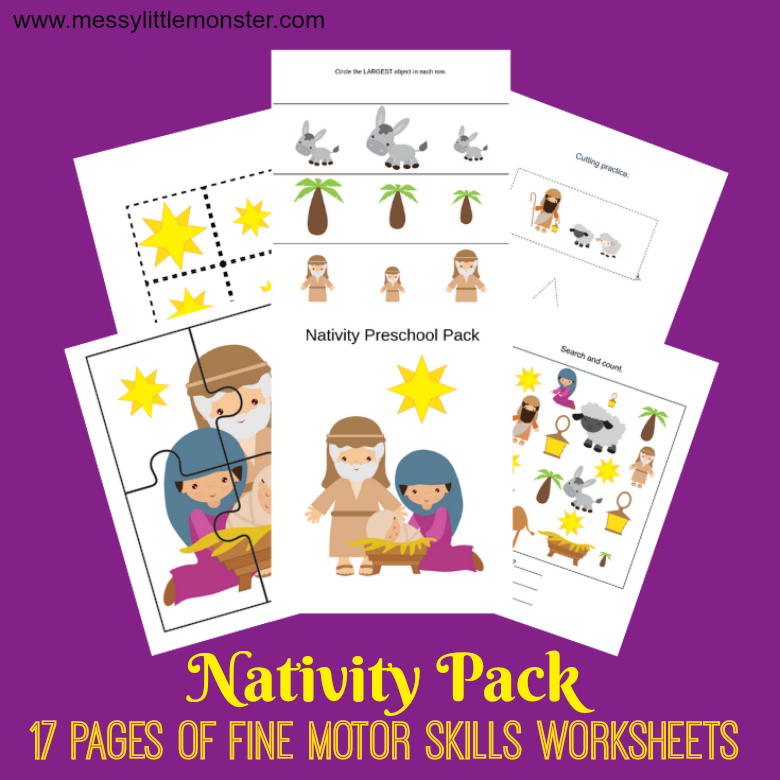 Below you can see images of the printable fine motor skills activities included in this nativity pack . There are 17 pages of worksheets included in the pack as well as a cover page. 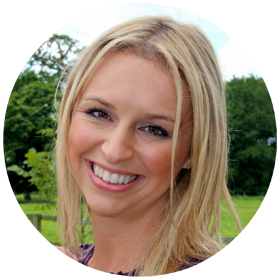 Scroll down below for full details of what is included and to download your printable nativity pack. There are 3 pages of trace the line. 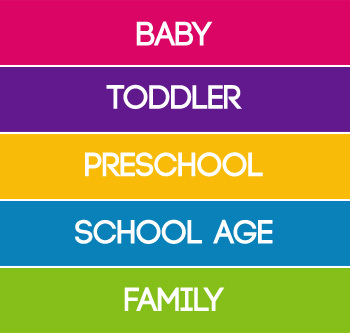 The first worksheet is made from simple lines before moving on to curly and zig zag lines for your child to trace. You could even trace the lines in several colours to make rainbow lines! There is a also a page of shapes to trace with nativity images inside them. There are 2 simple 4 piece puzzles included to be cut out. There is an angel puzzle and a nativity scene puzzle. There are 5 pages of preschool cutting practice. There are straight lines, a spiral and some shapes to cut out. The shapes have nativity pictures inside them. A fun idea could be to cut out the nativity pictures and use them to make Christmas cards or even wrapping paper! The counting cards can be used in several ways. You could simply give the worksheets to your child for them to count the images on each card and circle the correct number. Alternatively you could cut out the cards, laminate them and give your child a clothes peg (clothespin) to clip onto the correct number. Using a clothes peg is great for working on fine motor skills and fun for children. The search and count page is great for working on counting skills. Simply count the number of trees, lanterns and stars and write how many there are at the bottom of the page. There are 3 pages of size sequencing activities. The first page you are asked to circle the largest object, the second page you circle the smallest object and for the final page you need to cut out the images and order them from smallest to largest and then largest to smallest. This pack of 17 fine motor skills worksheets costs $3. To get your copy add $3 and click on the 'I want this' box below. It may take a moment for the page to load so please be patient. For personal and classroom use only. Not for redistribution. All images are copyrighted. 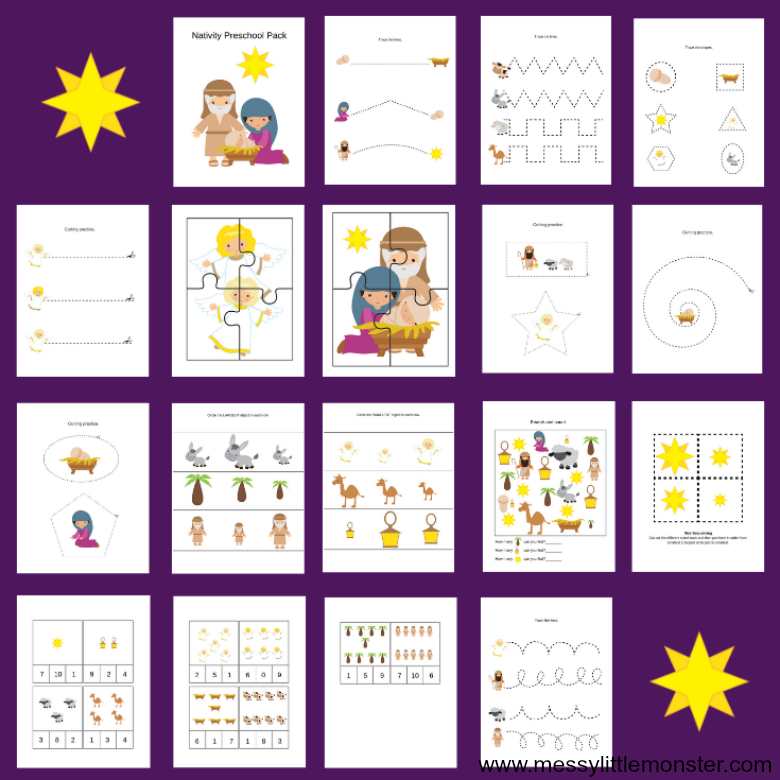 We hope you enjoy using this pack of fine motor skills worksheets for toddlers and preschoolers. These printables are a great addition to any nativity activities you are planning to do over Christmas.